Are you looking for a personalized alarm system and peace of mind? 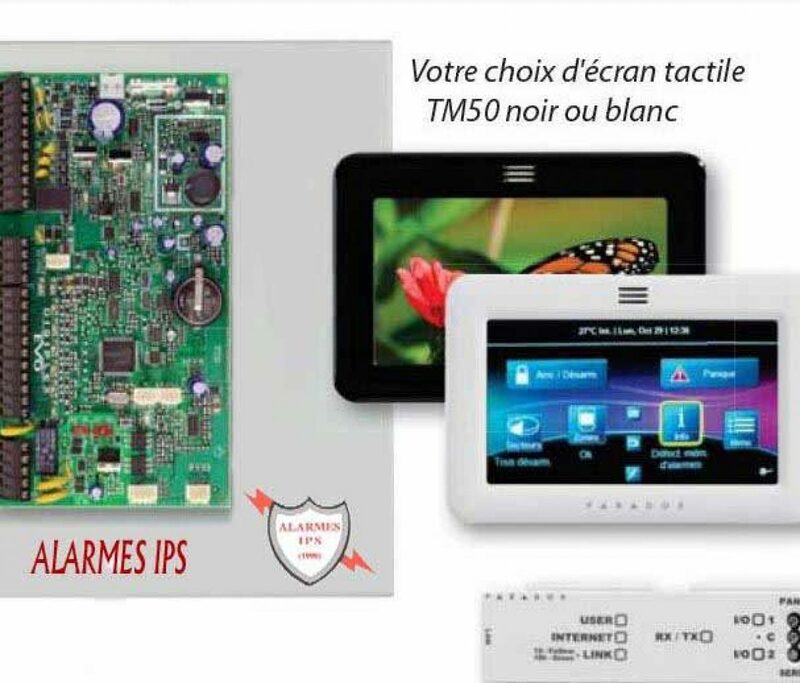 Alarmes IPS have what you need: intrusion alarms, smoke detectors, panic buttons, medical buttons, temperature sensors, water infiltration sensors, remote connections. Looking for an alarm system and access control. Be aware that Alarms IPS has an avant-garde product that combines intrusion alarm and access control. Allowing you to manage a single software which simplifies the task. We have several types of nearby card reader, bioscrypt, etc. You are an engineer and need our expertise to complete your project? So Alarmes IPS offers large span systems. Whether access card or intrusion, do not hesitate to contact us. We take care of industrial, institutional and factory projects. Working in the field of security since 1990, at Alarmes IPS we are your experts in protection systems. Cellular transmission of alarm signals, dedicated telephone line (DVACS), access card, camera and inspection; Whatever your needs, our team is here for you! Specialized in intrusion systems, access card access, camera installation and inspection of ULC S-536 / ULC S-537 fire systems, our consultants and our technicians take the time to guide you towards products that will meet your needs. Very popular with business managers, access cards are now a very useful security tool to control access to buildings, various departments and even some commercial space. Simple to use, they allow to keep track of users’ whereabouts through a centralized computer system. There are currently several models of access cards on the market. Like OPUS cards for the subway, the train and the bus, the proximity cards do not need to necessarily touch the reader to give access or not to an area to the cardholder. All that is needed is for the card to be near the reader. You are at the head of a company with several departments whose access must be controlled? Smart cards are specially designed for this purpose. These can give access to several areas or premises to the cardholder and block it when the latter does not have the right to access certain parts of a building. Access is granted and managed via computer software that also allows the compilation of data. Need more information or advice? Get in touch with us today!